Hold on to your mixing bowl and whisk, because I’m about to introduce you to a Houston allergy-friendly bakery that is going to liberate you from pressure to make a great-tasting dessert that even those without food allergies will covet. Truly. Meet Angela Winston, owner of Liberation Gluten-Free Bakery, who caters to baking delicious treats free from many common allergens. 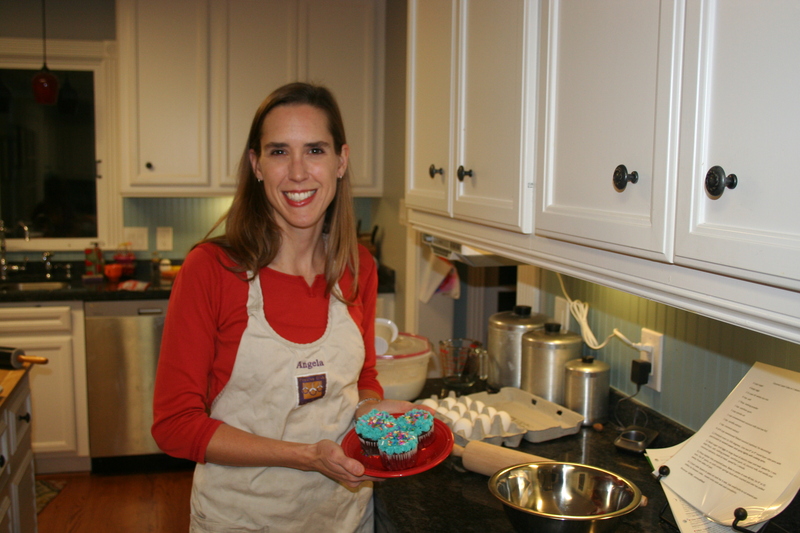 Angela is a food allergy mom, much like myself, so she understands first-hand the baking challenge parents face to provide lip smacking, allergy-safe meals and desserts for the entire family…and she rocks it! Her eleven-year-old son was diagnosed with life-threatening wheat, dairy, soy, peanut, and tree nut allergies ten years ago. Since that time, her son has outgrown several food allergies, but his wheat and tree nut allergies remain. If you’re following closely here, this is one of my favorite things about Angela. 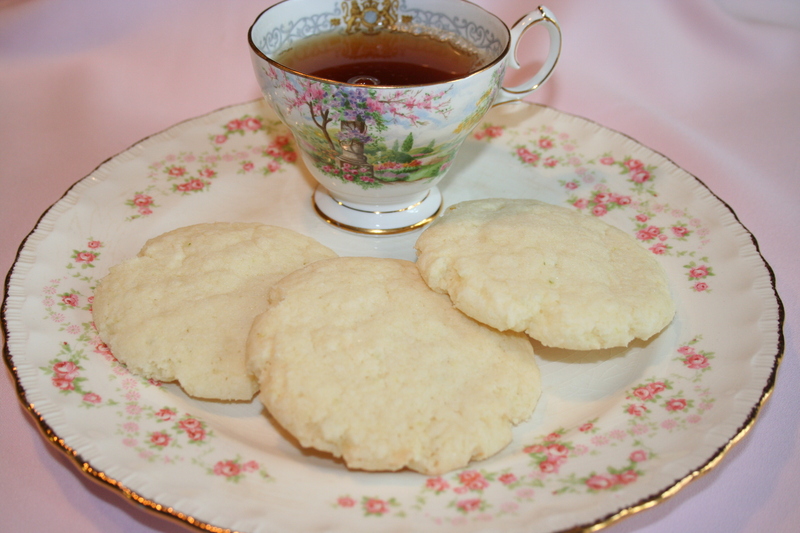 A fairy godmother didn’t pop out of the atmosphere and give her the magical gift of baking. It is something she has worked hard to perfect. It gives me hope that one day my own baked treats might morph into something as fantastic as hers. Liberation Gluten-Free Bakery does custom allergy-friendly work. Their equipment is dedicated gluten and nut-free. 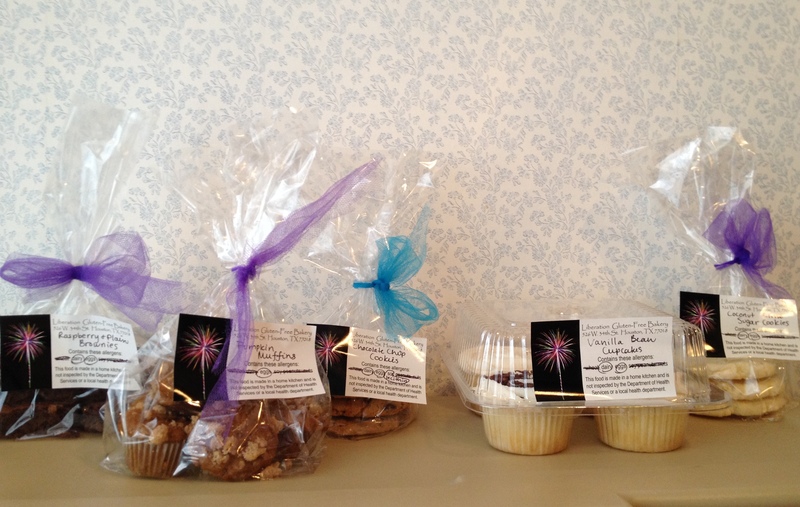 In addition, orders can be placed for dairy, egg, and soy-free and even vegan treats. Liberation works on an order basis only. To place an order, Angela requests that you contact her by phone at 832-656-8648 so she can personally assess your allergy-free baking needs. However, you can find Angela at The Farm Stand, a Houston farmer’s market, twice a month (for more details click here) where she often showcases things such as pizza crust, focaccia bread, scones, and more that you won’t normally find on the menu. Now that I’ve given you the basics, I’ll go on to my product review. If you are a regular reader, you know that I’m not necessarily a fan of ordering safe foods online or via custom order. I usually purchase these items only if it is something I feel I cannot replicate in my own kitchen. With that said, I absolutely envision Liberation Gluten-Free Bakery as a go-to for my family, because the food is just that delicious. I almost feel funny trying to write a product review only because there are truly no words to describe what a gift Angela has. My family taste tested the chocolate chip cookies, oatmeal raisin cookies, coconut lime sugar cookies, brownies, raspberry brownies, pumpkin streusel muffins, and vanilla bean cupcakes and all four of us simply fell in love. My husband (the Picky Pete of the group) not only liked it and went back for more, but said it was “amazing and didn’t taste allergy-free at all.” He’s right, you know (but don’t tell him I said that). Every single baked good from Liberation had an amazing fluffy texture, incredibly moist, and didn’t have even a hint of the crumbly or heavy texture so often found in gluten-free products. The best part? My son and I can enjoy these treats together…and still have to fight off little sister and Dad. It’s kind of a nice problem to have! Hosting a Super Bowl party? Need Valentine treats? Have company coming into town? Want to treat yourself? 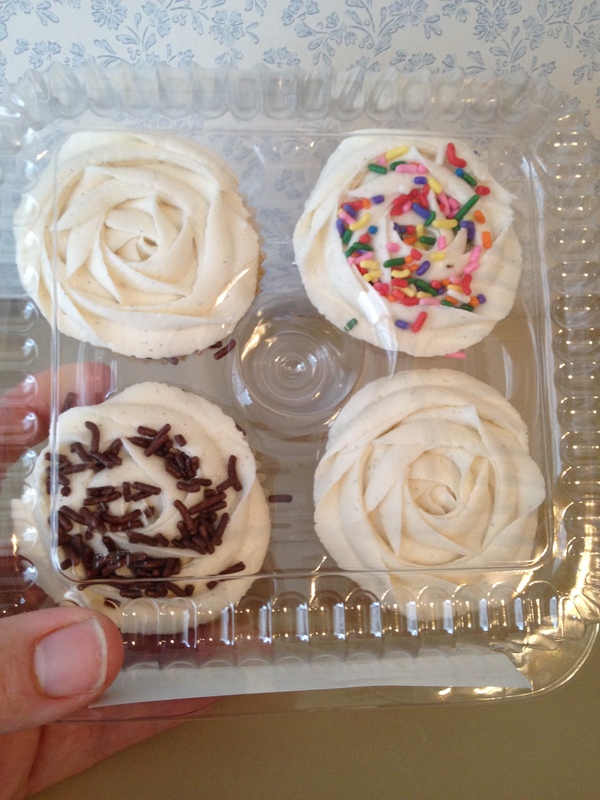 Please consider giving Liberation Gluten-Free Bakery…you will SO thank me for it later! I second all the kudos above. My son has multiple food allergies and Angela was so amazing to work with in creating something for his first birthday. 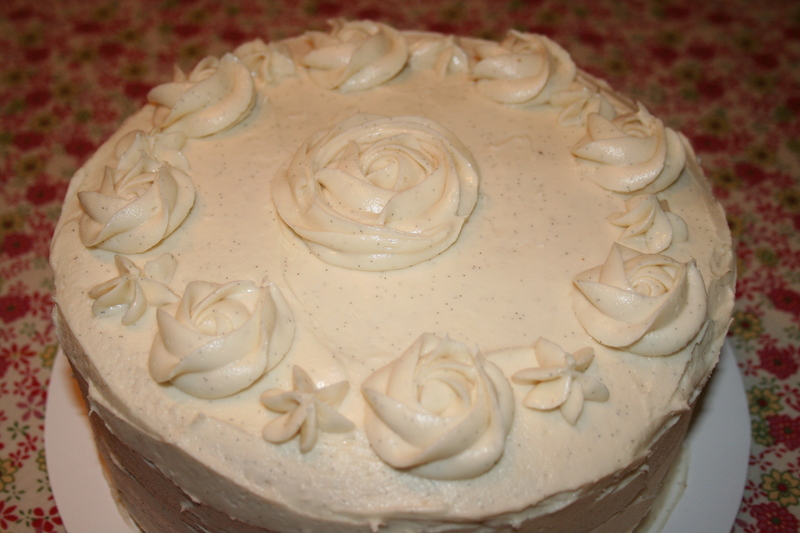 Our vanilla bean cake was outstanding!! !